The balloons have fallen, and the DNC has made history, electing Hillary Rodham Clinton as its presidential nominee. ETA made history, too. 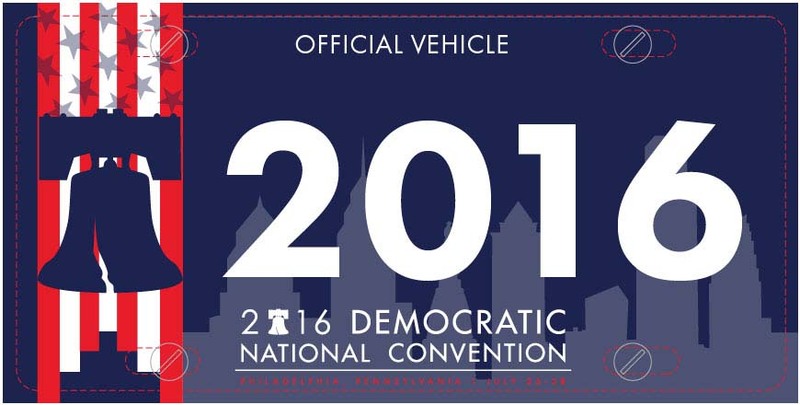 Back in April 2016, we began designing the official license plate for the 2016 DNC. That job fell to me, Linda Jacobson. The deadline was the next day. ETA wanted to give a nod to the City of Philadelphia for hosting the convention. I received word within two days which design had been selected by the DNC’s Transportation Committee. Then I went to work, refining the design six times. 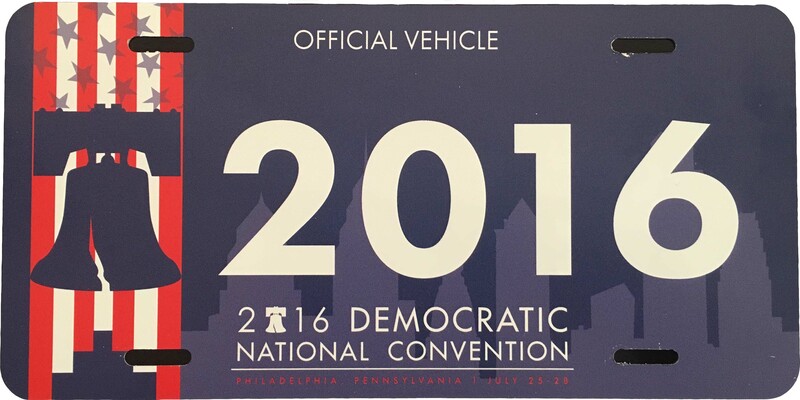 Below is the final design, along with a picture of the actual printed license plate. In large venue event transportation, having someone skilled in design and branding can help in the event planning process, including bus marketing. Be sure you have this area covered by professionals.